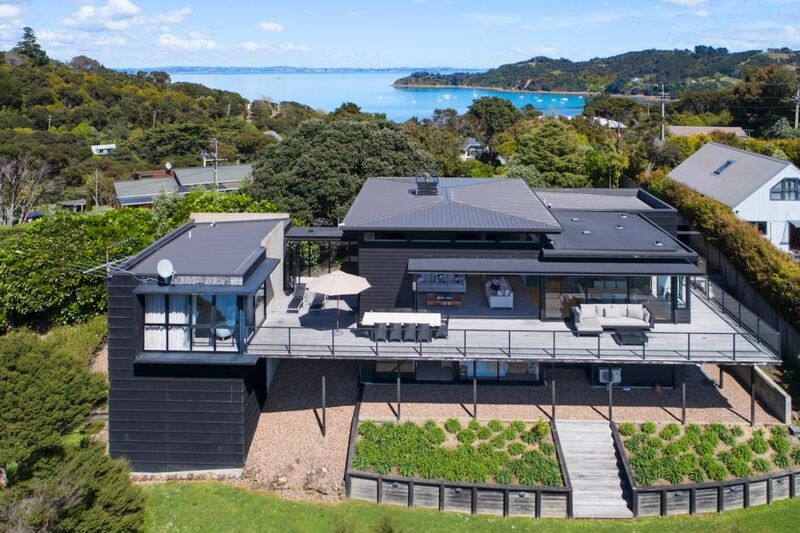 Treat yourself to the captivating views, all day sun and coastline panorama from this stunning holiday home perched above Oneroa bay. Blackwood Retreat is beautifully presented and a perfect accommodation choice for a relaxing Waiheke Island holiday by the sea. The house features three double bedrooms and two full bathrooms for up to six guests. The spacious master bedroom with ensuite bathroom is on the main living level with the two additional bedrooms and second bathroom located on the lower level. The modern chef's kitchen and spacious living and dining areas open to the decks with outdoor seating, all day sun and stunning northern sea views. Careful attention to detail makes this house truly special. Waiheke Island is well known for stunning walkways, white sandy beaches, award winning vineyards, restaurants and olive groves. The artisan shops and Saturday farmers market are well worth a visit with plenty of adventure options on the water and in the air. Blackwood Retreat is located just outside the main village of Oneroa with specialty shops, cafes and several award winning vineyards and restaurants including Mudbrick and Cable Bay within easy reach. Oneroa and Little Oneroa beaches offer swimming, boating and fishing just down the road. Close to Mudbrick and Cable Bay vineyards. Beautiful place to call home for a few days and share some quality time with family or friends. Kim was amazing to deal with! Much recommended. We loved everything about Blackwood > the house, the location and the privacy.